Paranormal Science Lab and Bookhouse Cinema are pleased to present "Bushwhackers, Murder & A Movie". 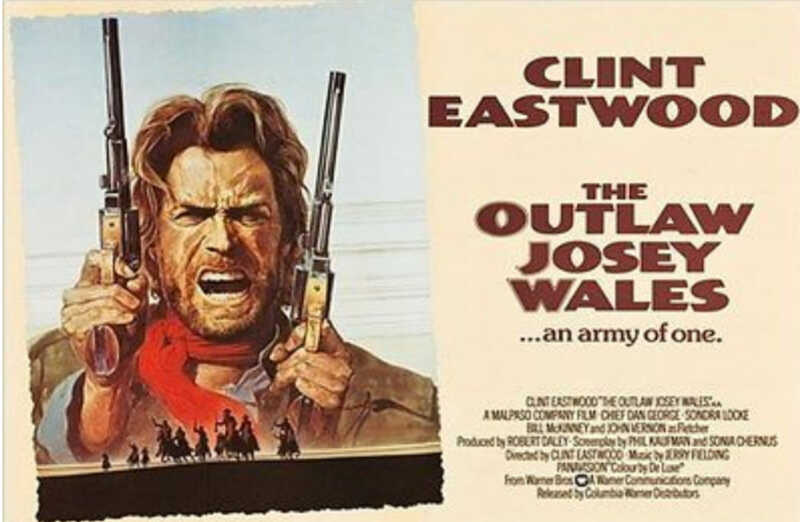 Come hear the dark tales from the Civil War in the Four State area, and then watch "The Outlaw Josey Wales", which was one of first in the Revisionist Western film genre to portray a realistic vision of Civil War Missouri. As the Outlaw Josey Wales, Clint Eastwood is ideal as a wary, fast drawing loner, akin to the "Man with No Name" from his European Westerns. But unlike that other mythic outlaw, Josey Wales has a name and a heart. That heart open up as the action unfolds. After avenging his family's brutal murder, Wales is pursued by a pack of killers. He prefers to travel alone, but ragtag outcasts are drawn to him - and Wales can't bring himself to leave them unprotected. One of the top Westerns ever. $10 per person. Call PSL for information at 417-622-8997. Call Bookhouse Cinema at 417-825-5161.